Pioneers in the industry, we offer convex mirror from India. We are one of the renowned manufacturers of a wide range of security products, which includes Convex Mirror. 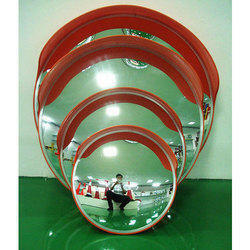 These quality convex mirrors are extensively used at Highways, Railway stations and many other places.